Active-duty military now make up just 0.4 percent of the U.S. population, down from 1.8 percent in 1968 and 8.7 percent in 1945. Military personnel also tend to come from certain parts of the country more than others. Here, from the Defense Department’s most recent annual report on population representation in the military services, are the states with the most military recruits in fiscal year 2015 as a percentage of the population aged 18 through 24. Read more . . .
. . . the Niger operation typifies U.S. military missions underway in roughly 20 African countries, mostly in the northern third of the continent. They tend to be small, they are carried out largely below the radar, and most are focused on a specific aim: rolling back Islamist extremism. In almost all of the missions, the Americans are there to advise, assist and train African militaries — and not to take part in combat. Still, those supporting roles can often take U.S. forces into the field with their African partners, as was the case in Niger. Read more . . .
U.S-allied fighters said they captured Syria’s largest oil field from the Islamic State group on Sunday, marking a major advance against the extremists and seizing an area coveted by pro-government forces. With IS in retreat across Syria and neighboring Iraq, the Kurdish-led Syrian Democratic Forces and the Syrian government have been in a race to secure parts of the oil-rich Deir el-Zour province along the border. The SDF, with air support from the U.S.-led coalition, said Sunday it captured the Al-Omar field in a “swift and wide military operation.” It said some militants have taken cover in oil company houses nearby, where clashes are underway. Read more . 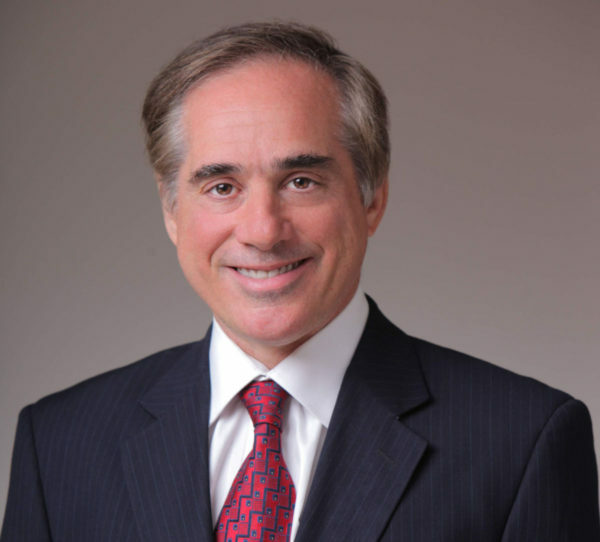 . .
Will Dr. David Shulkin Resign as the Head of the VA? A long-awaited overhaul of veterans’ health care is being unveiled to the world. At the helm throughout the two years of developing this roadmap has been David J. Shulkin. As the U.S. Department of Veterans Affairs is finally on the cusp of rolling out its master plan to ensure every veteran has access to timely, quality care, the VA secretary reportedly is interviewing for another job. As the Wall Street Journal revealed Friday, the White House brought Shulkin in last week to discuss having him take over the Department of Health and Human Services, a post left vacant by the abrupt resignation of Tom Price. (VA did not confirm or deny the Journal’s reporting.) Read more . . .
Are Changes in the Wind for the VA’s CARE Program? The VA announced that it has submitted the Veterans Coordinated Access & Rewarding Experiences (CARE) Act to both the House and Senate Veterans Affairs committees. The bill would eliminate the current wait time and distance requirements under the Choice program, which limits participation to veterans who face a 30-day wait for an appointment at a VA hospital or who live 40 miles or more from a VA facility. Instead, veterans would be able to seek care outside of the VA if they face a wait that is longer than a “clinically acceptable period.” The changes would create options for veterans to use walk-in clinics for non-emergency needs and would place veterans and their physicians “at the center” of decisions on where to receive care, according to the VA. Read more . . . Virtual Therapists for Evaluating PTSD? WHEN US TROOPS return home from a tour of duty, each person finds their own way to resume their daily lives. But they also, every one, complete a written survey called the Post-Deployment Health Assessment. It’s designed to evaluate service members’ psychiatric health and ferret out symptoms of conditions like depression and post-traumatic stress, so common among veterans. But the survey, designed to give the military insight into the mental health of its personnel, can wind up distorting it. Thing is, the PDHA isn’t anonymous, and the results go on service members’ records—which can deter them from opening up. Anonymous, paper-based surveys could help, but you can’t establish a good rapport with a series of yes/no exam questions. Veterans need somebody who can help. Somebody who can carry their secrets confidentially, and without judgement. Somebody they can trust. Read more . . .